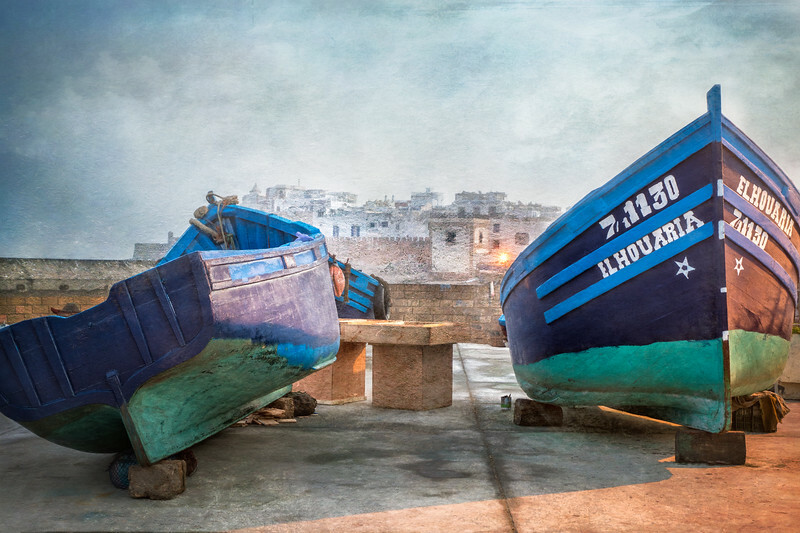 One of the greatest draws for me in Essaouira was the famous blue boats. This large fleet of boats belongs to fishermen who go out fishing for every imaginable form of sea life. As in other areas of Morocco, you end up with a guide before you realize that you asked for one. On one of these many occasions, our “guide” took us through the boat yard explaining the different types of boats that were designed to fish for different species. A highlight was visiting the fish markets and seeing first hand the variety of seafood available from their catch. I especially enjoyed walking among the boats that were propped on the docks in various states of repair.